We’ve all heard it many times by now - the consumption of refined sugar is killing people. I was a bit hesitant to read this article because I love my sweets. But after just a few sentences I knew I would be able to gain quite a bit of knowledge and understand. I am wondering if you can acquire carnosine from your local health food store, that it something I am interested in trying. I'll also think twice before heading down the candy isle. Thanks for the information. I am curious about the dipeptide Carnosine. I understand that Carnosine declines in the aging population. Promising data on longevity & antiglycation properties are frequently mentioned in science literature. It is also well known that the common inexpensive athletic supplement Beta Alanine can elevate carnosine in human subjects. Carnosine is a dipeptide synthesised in the human body from Histidine & Beta alanine. Histidine is generally in plentiful supply (from diet) hence it’s the Beta alanine that is rate limiting factor. There seems some mention in literature that carnosine is broken down into its 2 constituents during digestion anyway, then reassembled. There is some mention that carnosine can in trace be absorbed intact. There is some mention that supplementing beta alanine alone does not confer benefit. My question is. Is there a definitive answer yet available on the above? Incidentally I actually take both Carnosine & beta alanine in supplement form. And thankyou LEF.org ! – You have been a go to Site for common sense & inspiration for many years. 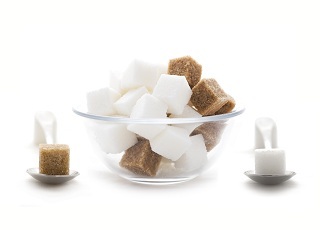 Sugar is the main culprit of certain diseases like diabetes. It is not wrong to consume sugar but we should do it in moderation, but if we can thoroughly avoid it, the better for us. If we love sweets, we might consider certain fruits, most fruits are sweet by nature and at the same time, we can gain a lot of good benefits. We might consider honey as a sweetener also. Jennifer - Sweets are definitely hard to resist. Carnosine is something you could typically find in your local health food store. Anonymous - Good question! Orally ingested carnosine can be broken down into beta-alanine and L-histidine in the liver. It can also be absorbed whole into the bloodstream and be transported to different body tissues. Is their a supplement that has these three things in it?